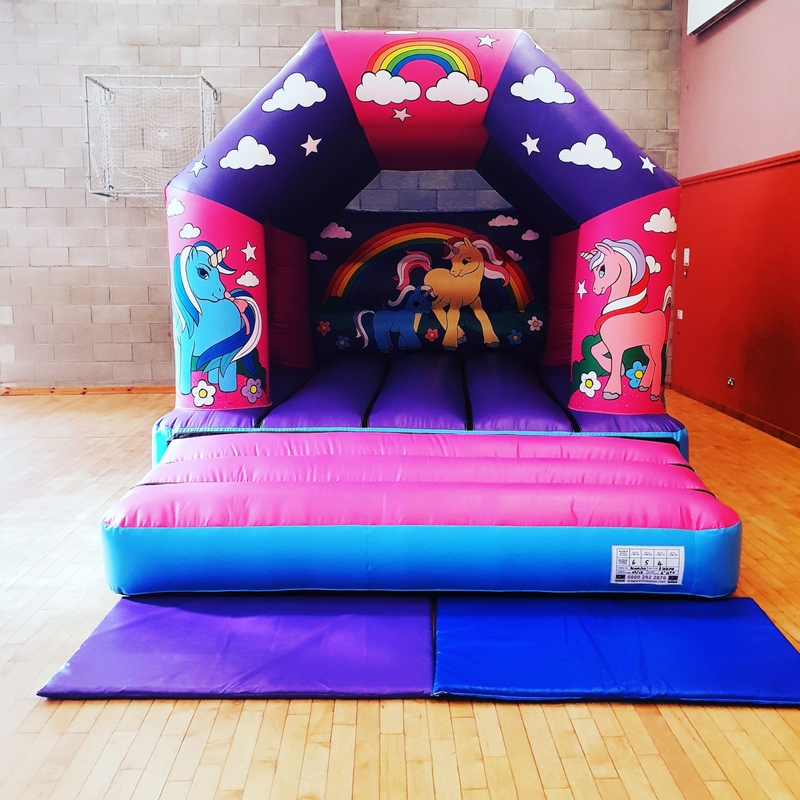 Brand new Unicorn bouncy castle. Custom painted artwork featuring brightly coloured unicorns. this years featured and popular trends unified in one of our smaller castles.